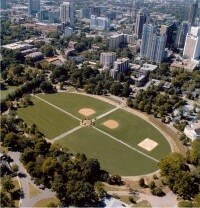 The Active Oval is the contemporary name for the historic racetrack in Piedmont Park. The track was developed in the post Civil War period by a group of local prominent citizens. They formed the Piedmont Driving Club and utilized the property for recreational horse and buggy riding. The area known as the Active Oval today was graded as a 14+ acre level terrace from the rolling Piedmont terrain as part of the Piedmont Exposition of 1878. It was initially utilized for the exhibition halls and attractions for the short period that the Exposition was open. It was then converted to a horse racing and surrey racetrack that served the general public until the development of the Cotton States Exposition in 1895. During that period it served as a large formal garden. 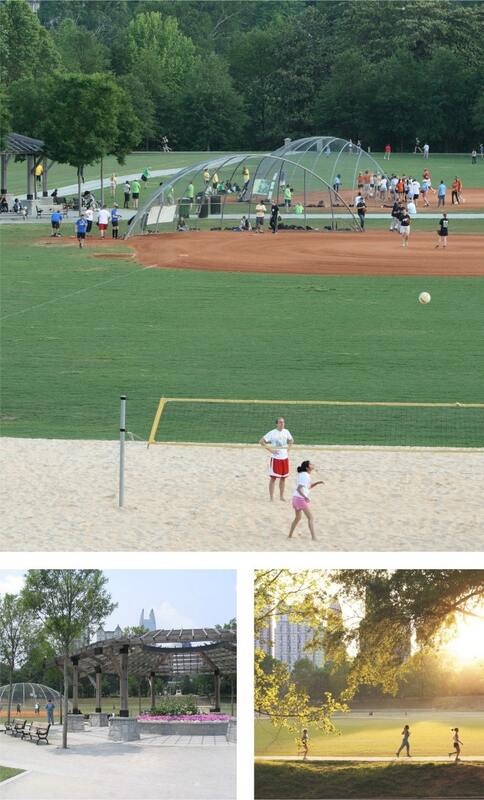 Following the Cotton States Exposition, it served a variety of open space uses for the public until the City passed the 1925 bond for the first and only significant phase of development based on the 1912 Olmsted Brother’s Master Plan in the park until the City and the Piedmont Park Conservancy jointly undertook the implementation of the 1995 Master Plan. 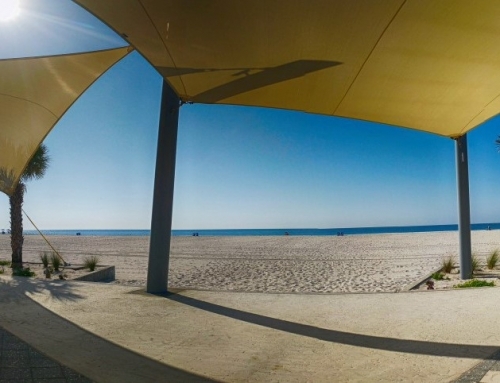 The Active Oval served both structured and unstructured recreation open space. The structured use has been primarily softball for various groups in the city until a recent application of half of the space for two soccer fields. The area had originally been graded during the Cotton States Exposition to sheet drain to the edges and then be flumed over the banks. Later in the 20th century, a storm drainage system was installed by City staff that encircled the then four softball fields. This system was ineffective because the individual fields were not regraded to flow to the inlets. As a result, the Active Oval became compacted and eroded. 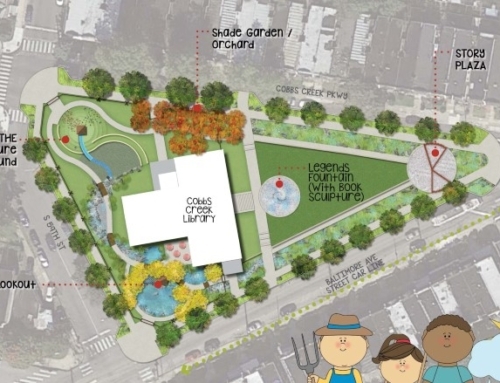 To compound the problem, the City struggled with funding for maintenance and improvements. TSW was tasked with developing the program, budget, and construction documents for rehabilitation. The work evaluated the environmental, historic, functional and aesthetic needs of the project with an advisory committee. 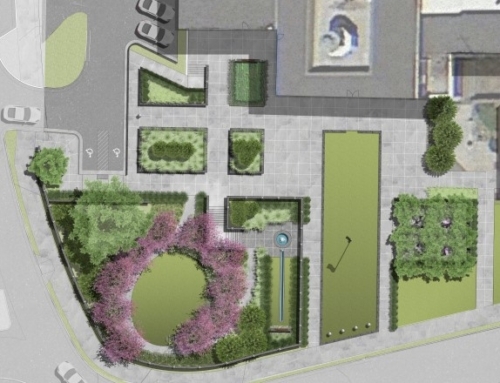 The committee remained involved throughout the planning and design effort relative to the scope and budget decisions. 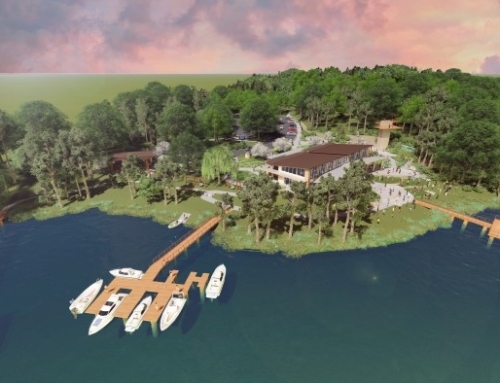 TSW managed the review of the plan through three adjacent neighborhoods as well as preparing and presenting the project to the Atlanta Urban Design Commission. TSW worked closely with the contractor throughout the process to maintain the quality and cost controls for the project. 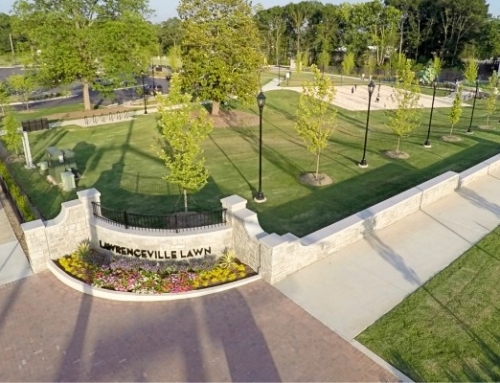 The scope of work included the design of the site itself from a grading and drainage perspective, sports field design for soccer and softball, turf management, subsurface drainage, materials selection, custom detailing, and cost analysis. The Active Oval is encircled by a one-half-mile running track funded by the Atlanta Track Club. This is a 10-foot granular based trail with subsurface drainage and a synthetic 1” x 6” vertical edge on both ends.